← Concorr Lead Technician is Awarded Institution of Civil Engineers Technical Scholarship! Should Due Diligence Extend to the Buildings, Enabling 3rd World Country Workers have to Work? Recently there have been a number of building collapses around the world. 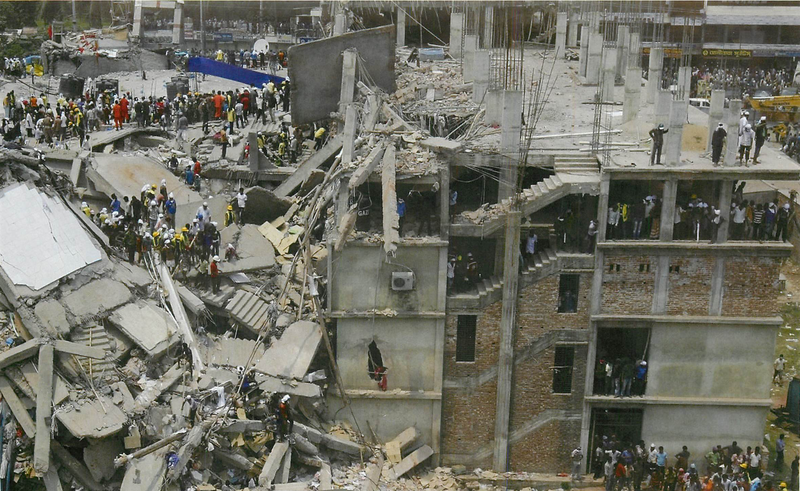 Sadly, many pe ople have lost their lives – The Factory in Dhaka being an example. There has been raising concerns in the Western World news and press about Asia’s working conditions, low pay, and child labour exploitation in their factories. Factories that supply High Street brands to UK retailers. Multi-National and International companies have shown commitment to improving the conditions of the workers in Asia, workers that are employed to manufacture High Street goods. This is possible through partnership and by monitoring the buildings. We at Concrete and Corrosion Consultancy Practice Ltd are promoting that all buildings and structures, where people work, should have ‘Basic Health Checks‘. This as part of companies due diligence checks on supplies wherever in the world they may be.